Woodwardite: Mineral information, data and localities. where (x < 0.5, n < 3x/2); Cu:Al ratios stated to fall between 1.73 and 2.03. 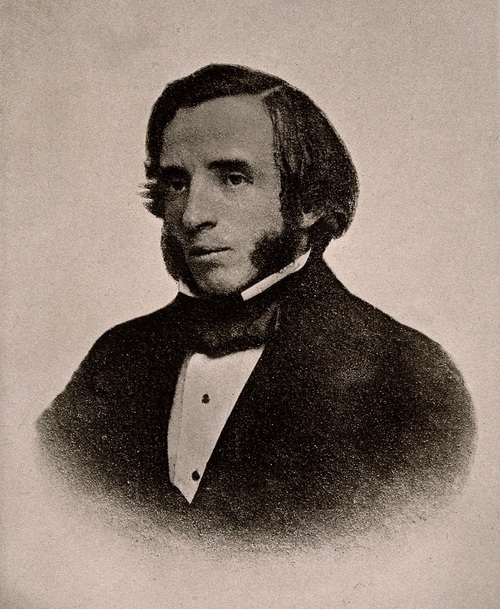 Named after Samuel Pickworth Woodward (17 September 1821 – 11 July 1865), English naturalist and geologist. Compare also the chemically similar chalcoalumite. Occurs as minute, botryoidal concretions with a fine-fibrous structure; spherulitic. Honessite (Ni1-xFe3+x)(OH)2[SO4]x/2 · nH2O Trig. Zincowoodwardite Zn1-xAlx(OH)2[SO4]x/2 · nH2O Trig. Azurite 8 photos of Woodwardite associated with Azurite on mindat.org. Cyanotrichite 6 photos of Woodwardite associated with Cyanotrichite on mindat.org. Carbonatecyanotrichite 3 photos of Woodwardite associated with Carbonatecyanotrichite on mindat.org. Hydrowoodwardite 3 photos of Woodwardite associated with Hydrowoodwardite on mindat.org. Devilline 2 photos of Woodwardite associated with Devilline on mindat.org. Kaolinite 2 photos of Woodwardite associated with Kaolinite on mindat.org. Cerussite 1 photo of Woodwardite associated with Cerussite on mindat.org. Anglesite 1 photo of Woodwardite associated with Anglesite on mindat.org. Brochantite 1 photo of Woodwardite associated with Brochantite on mindat.org. Covellite 1 photo of Woodwardite associated with Covellite on mindat.org. Church (1866) Chemical News and Journal of Industrial Science, London: 13: 85, 113. Larsen, E.S. (1921) The Microscopic Determination of the Nonopaque Minerals, First edition, USGS Bulletin 679: 98. (langite, no. 3, from Klausen). Meixner, H. (1940) Uber Woodwardit aus Cornwall und von Klausen (hier falschlich “Langit” gennant) in Sudtirol. Zentr. Miner. Abt. A, 11, 238–244. Palache, Charles, Harry Berman and Clifford Frondel (1951) The System of Mineralogy of James Dwight Dana and Edward Salisbury Dana Yale University 1837-1892, Seventh edition, Volume II: 580. 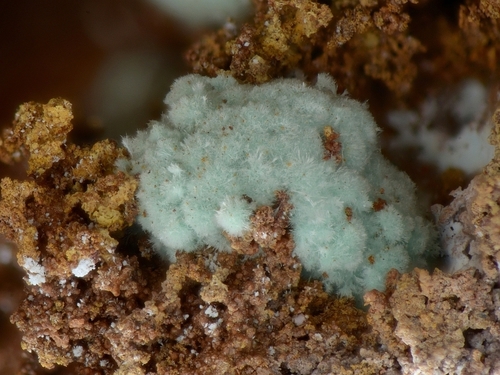 Nickel, E.H. (1976) New data on woodwardite. Mineralogical Magazine: 43: 644-647. Iakhontova, L.K. (1981) New data on posnjakite, serpeirite and woodwardite. Doklady Akademii Nauk SSSR: 256: 1221-1225. Raade, G., C.J. Elliott, and V.K. Din (1985) New data on glaucocerinite. Mineralogical Magazine: 49: 583–590. 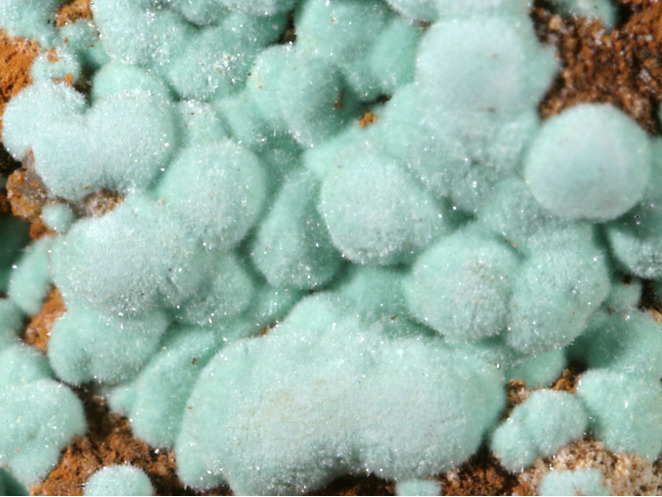 Witzke, T. (1999) Hydrowoodwardite, a new mineral of the hydrotalcite group from Königswalde near Annaberg, Saxony/Germany and other localities. 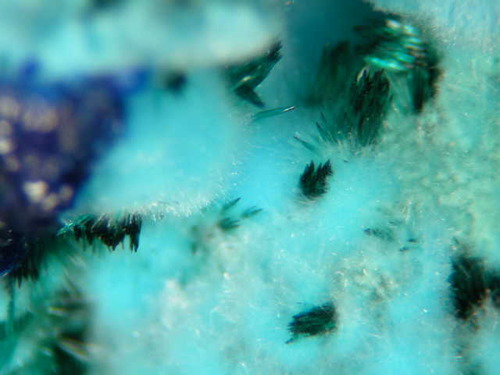 Neues Jahrbuch fur Mineralogie Monatshefte: 1999: 75-86.
ⓘ Sandriegel (Gasteil Cu I; copper mine) ? Sejkora, J. & Šrein, V. (2012): Supergene Cu mineralization from the Mědnik hill near Měděnec, Krušné hory Mountains (Czech Republic). Bulletin mineralogicko-petrologického oddělení Národního muzea v Praze 20, 255-269. Berthold, H.G. (1982) Serpierit von Letmathe. Lapis (2), 35.; Schnorrer-Köhler, G. (1986) Neue Minerale von der Schlackenhalde der ehemaligen Zinkhütte Genna in Letmathe/Sauerland. Aufschluss, 37 (2), 55-67.; Bender, D. and Krimmelbein, W. (1994) Aktuelle Übersicht: Mineralien der Zinkhütte Genna/Sauerland. Stand Juni 1994. Mineralien-Welt, 4/94, 10. Exel, R. (1987): Guida mineralogica del Trentino e del Sudtirolo. Athesia, Bolzano, 204 pp. ; Mair, V. (1996): Die Kupferbergbaue von Stilfs, Eyrs und Klausen. Der Stoansucher 10 (1), 38-44. Bortolozzi G., Blass G., Boscardin M., Rocchetti I. and Ferretti P. (2013): La Miniera di Cinquevalli (Valsugana, Trentino-Alto Adige): aggiornamento sulle specie accertate negli ultimi anni. Studi Trent. Sci. Nat., 93, pagg. 149-165. J. Göske, T. Witzke, H. Pöllmann, S. Stöber (1997) - Neufunde von Sekundarmineralen in der Lagerstatte Calamita/Insel Elba - Der Aufschluss, 48: 305-313. Boscardin M., Daleffe A., Rocchetti I., Zordan A. "I minerali nel Vicentino", Museo "G. Zannato", Montecchio Maggiore, (Vicenza), 2011. Palache, C., Berman, H., & Frondel, C. (1951), The System of Mineralogy of James Dwight Dana and Edward Salisbury Dana, Yale University 1837-1892, Volume II: 580; Mineralogical Record: 9: 113. Betterton, J. (1989) Birnessite from Penberthy Croft Mine, Cornwall - a Second English Occurrence. Journal of the Russell Society, 2:2, 48. Golley, P., Williams, R. (1995) Cornish Mineral Reference Manual. Endsleigh Publications, Truro, Cornwall. Anthony, J.W., et al (1995), Mineralogy of Arizona, 3rd.ed. : 425.